Cut your egg cups off of the egg carton. 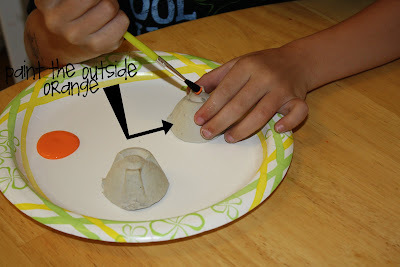 Take 2 egg carton cups & paint the outside with orange paint. Let it dry. Poke a small hole in the top of one of the cups. 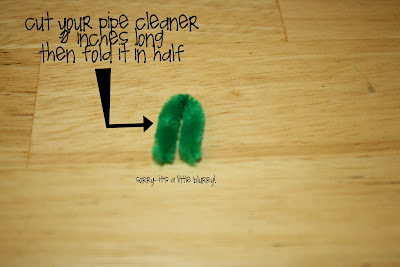 Cut a piece of the pipe cleaner that is 2 inches long & fold it in half. Twist the ends...leaving the top a loop. 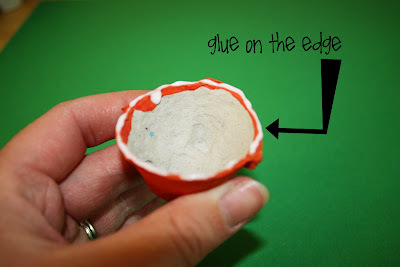 Place glue on the edges of one of the cups. 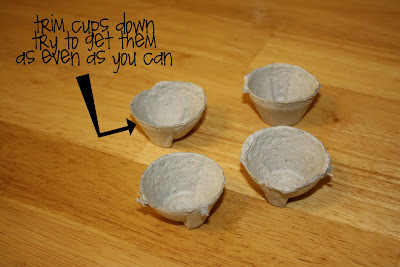 Glue the cups together & allow to dry. Place the pipe cleaner in the hole on the top. Draw a face on the pumpkin using a marker. 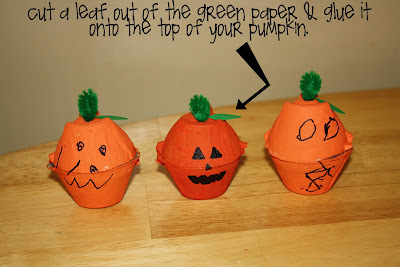 Cut a leaf out of the green paper & glue it on & there you have a cute Jack-0-Lantern. 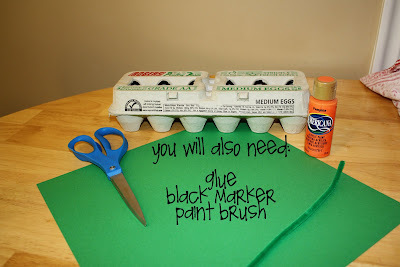 **Start stocking up on your egg cartons because I have 2 more egg carton crafts coming! Also...keep some milk jugs too! I have seen this craft popping up lately and I love it! Cute. We've got lots of egg cartons. Maybe it's time to pull one out for a craft. What a great Halloween project... we'll give it a go for sure... thanks for sharing. Awww, I love those. I think we could fill our window sill with those. Great and detailed tutorial! They are very cute! Adorable! This is perfect because I have a ton of egg cartons! Thanks for sharing! Ok, these are just so adorable. We will definitely be making them. Thanks for the idea! M kids had a blast making those last year. They look so cute sitting around the house. Very nice! Thank a lot, is really simple and funny. I did it with my two year old daughter and was so much fun, I love them! I am so slow at this, but thanks Rachel for linking to my blog. You are welcome to link anything. Thank you for giving me credit for my photo as well. Some people have cropped the photo, but not given credit. Thank you so much!!! Obviously this post was written a long time ago, but I just found it today! Here's my idea for making it functional too! 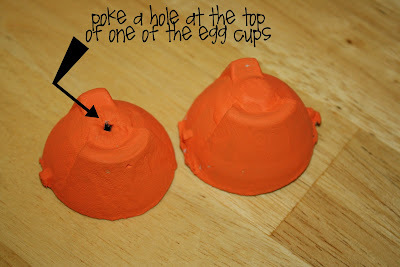 You could make a hole in the bottom of each egg-cup and cut a longer piece of green pipe cleaner instead. Slide the pipe cleaner through the bottom egg-cup first, firmly curl/bend the pipe-cleaner _underneath_ so it doesn't come out. Fill the cup with smarties or other small candies. 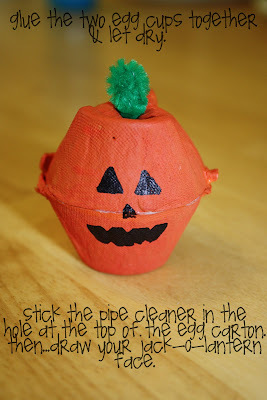 Thread the top half of the pumpkin/egg-cup onto the pipe cleaner to "close" your pumpkin, and again, curl/bend it so it keeps both halves tightly together. 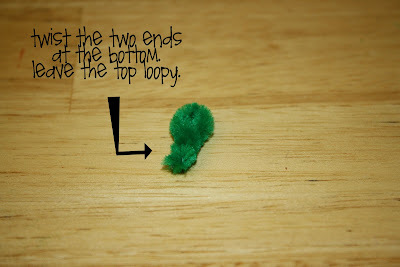 Then bend the leftover length of pipe cleaner to make your stem, as demonstrated above, and finish the craft without glue. I am a mom to two amazing little men. My oldest is 6& my youngest is 4. We love to do projects together whether it is baking or creating something crafty. I love to see the look of satisfaction & pride when they finish a project. I spend a lot of time finding cute things on the internet (just ask my husband). I hope that all of my research will help you get some cute ideas to make fun memories with your little ones! We ♥ Muffin Tin Monday!